We originally met Cleopatra at The Humane Society of Sarasota County back in October. 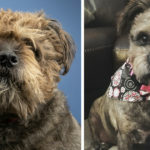 We took her photos for our Shelter Pet Cut Out Project with hopes of helping her find a home. 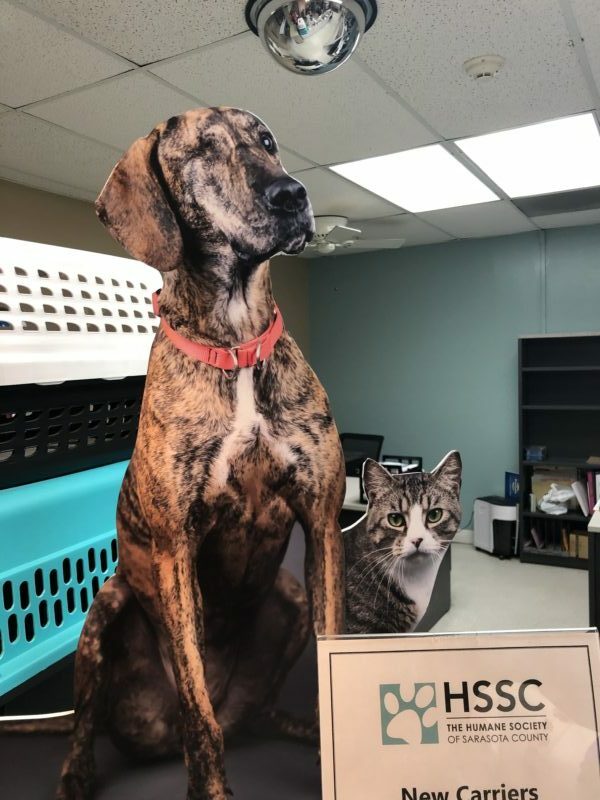 Her cut out was placed at a Sarasota dealership to represent the hundreds of shelter animals available for adoption every day. We retuned to the shelter yesterday to host a Pet Photo Shoot Fundraiser and the staff told us that Cleopatra has yet to find a home. “She’s a great dog, but needs to be the only dog in a home and she’s still looking for that special owner”, the shelter staff told us. Below is a write up about Cleopatra from the shelter’s website. Please consider sharing Cleopatra’s story to help her find her soul mate. This tall drink of water loves to lean in and let you know you’re special. Meet Cleopatra! Good manners makes her easy on the leash and responsive to voice. Happy is in her blood and she shows it by hopping all fours off the ground and dancing around. While she is friendly with other dogs and people, she must be a one and only love because she has got so much to give. If you are live in a single-person home where Cleopatra will be the only animal-this lovebug may be the match for you! 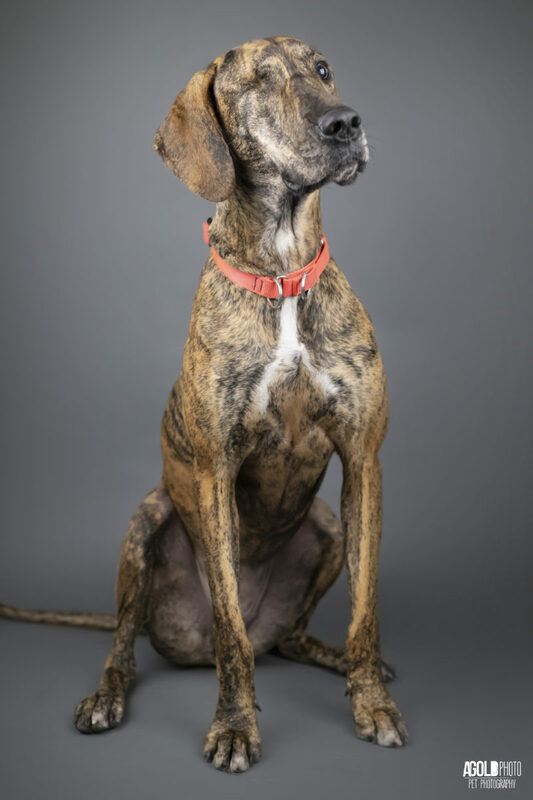 Cleopatra is a Plott Hound/Great Dane mix with brindle markings that resemble the vibrancy of a tiger. She arrived at HSSC from Manatee County Animal Services with a badly infected eye which had to be removed – however, it hasn’t slowed her down a bit. If you’re looking for a unique, one of a kind furever friend, Cleo will absolutely blow you away. Are you ready to meet the love of your life? 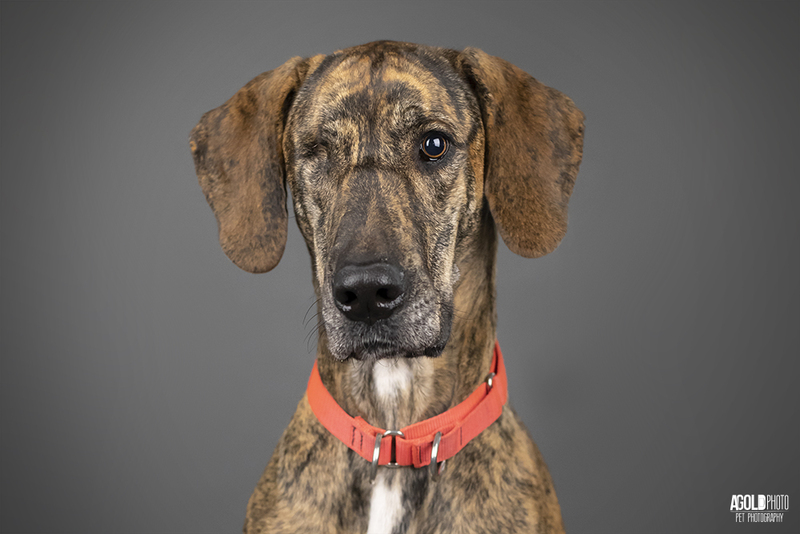 Come on in and meet this special winky today! 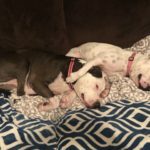 Since Cleopatra is one of our long-term dogs, we offer a special “Slumber Party” with her! The slumber party is an extended trial period where Cleopatra stays in your home for 3-30 days. HSSC will provide all of her food, medications, and necessities during this time. Should you fall in love with Cleopatra during this time, you simply return to HSSC to complete the adoption and live happily ever after. Should you decide that Cleopatra is not right for you, you just bring her back to HSSC, and know that with feedback about her behavior, you have helped us look for the best home for her. Let us know if you are interested in this offer! Below, we give a little explanation as to why Cleopatra needs a home which accommodates her special needs: Cleopatra absolutely adores her human, and we have discovered that she becomes possessive over what she considers ‘her person.’ Essentially, Cleopatra resource guards her human. Resource guarding stems from jealousy and competition in which Cleopatra feels inclined to protect items she deems valuable (in this case, her human) from other humans/animals that she deems as potential threats. She is wonderful one-on-one with people but is excessively protective and is a liability when other animals and people are involved. For this reason, Cleopatra must be in an adult-home only, without children under 8, and without other animals in the house. If you are still interested in Cleopatra, our experienced staff will be happy to further inform and prepare you for her person-possessive behavior. 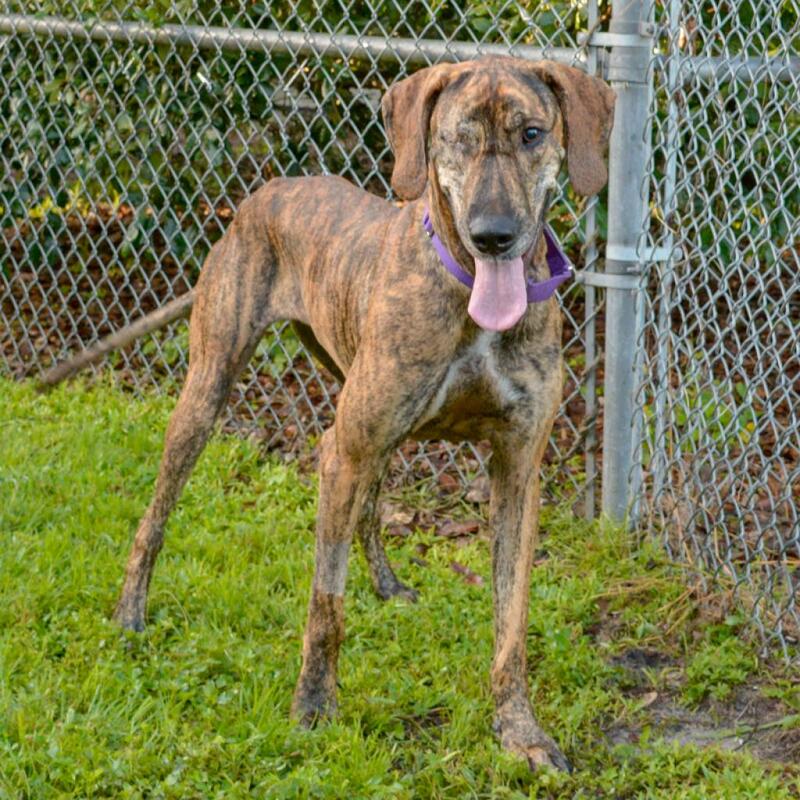 If you are interested in learning more about Cleopatra, please contact The Humane Society of Sarasota County.